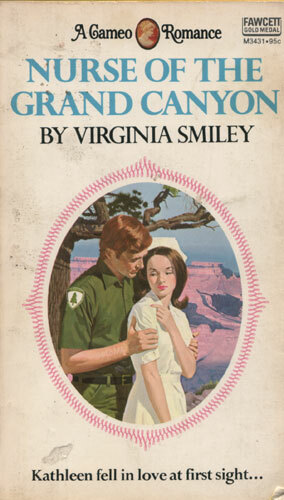 …but pretty young nurse Kathleen McMasters was ready for a big change. She became enchanted by the spectacular beauty of the West and decided that this was where she wanted to live and work. One of the first people Kathleen met in Grand Canyon Village was little Kerry Laughlin. Kathleen was charmed by the child, and Kerry thought Kathleen would make the perfect wife for her handsome widower father, Pete.